The present study aimed at assessing the antimicrobial properties of a water and ethanol ultrasound-assisted extraction (UAE) of dry goji berries and of lyophilised powdered pomegranate peel in vitro. 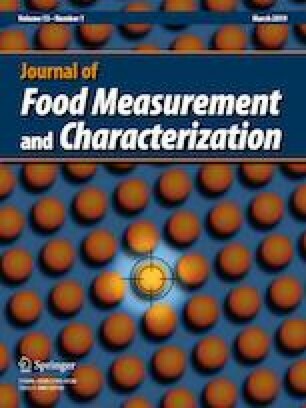 Minimum inhibitory concentration (MIC) and minimal bactericidal concentration (MBC) methods, turbidity (cell density) measurement, and well diffusion assay were used to determine the antimicrobial activity against several species of foodborne bacteria (Gram – , Escherichia coli, Salmonella typhimurium, Campylobacter jejuni), (Gram + Staphylococcus aureus, Listeria monocytogenes, Clostridium perfringens), yeasts (Yarrowia lipolytica, Metschnikowia fructicola, and Rhodotorula mucilaginosa), and fungi (Penicillium expansum, Aspergillus niger, Fusarium oxysporum, and Rhizoctonia solani). Carbohydrate and phenolic contents were measured, and DPPH (2,2-diphenyl-1-picrylhydrazyl) and ABTS (2,2΄-Azino-bis-(3-ethyl-benzthiazoline-sulphonic acid)) radical scavenging assays were used for the assessment of antioxidant activity. Fourier transform infrared (FTIR) spectrums of all samples were also evaluated in order to determine their chemical profiles. The lyophilised pomegranate peel exhibited the highest antioxidant, antimicrobial, and antifungal activity among all samples, while among the goji berry samples-who had only antibacterial and very little or no antifungal activity—the lyophilised aqueous extract with the lowest content of maltodextrin (2%) and highest phenolic content, had also the highest antioxidant, antimicrobial, and antifungal activity. The antioxidant and antimicrobial bioactivities seemed to be related to the content of polyphenols, the low concentration of maltodextrin in the encapsulated lyophilised samples and the use of optimised ultrasound assisted extraction. Minimum inhibitory concentration or zones of inhibition were in many (but not all) cases lower for the aqueous extracts compared to the ethanol or ethanol/hexane extracts of goji berries. In conclusion, the lyophilized powder of pomegranate peels and the aqueous extracts of goji berries encapsulated with minimal maltodextrin content and high polyphenol content exhibited high antioxidant and antimicrobial activity which could be utilized in food preservation or plant protection. All procedures performed in studies involving human participants were in accordance with the ethical standards of the institutional and/or national research committee and with the 1964 Helsinki declaration and its later amendments or comparable ethical standards. This chapter does not contain any studies with human participants or animals performed by any of the authors.